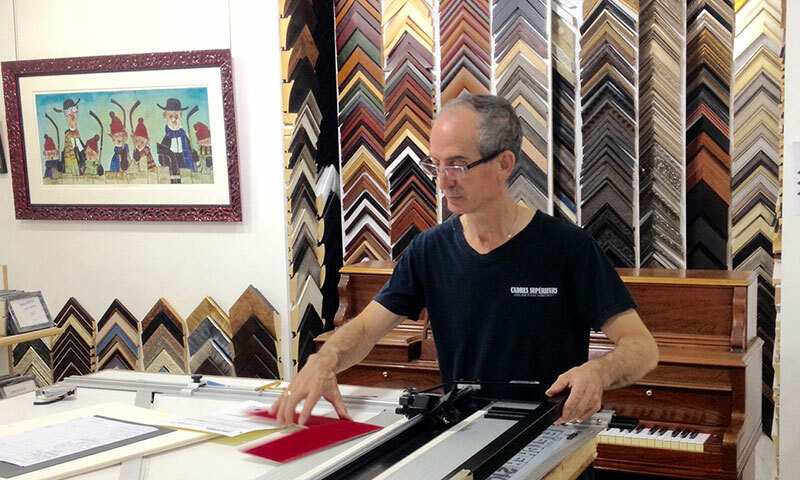 Joe Liberto, master Framer will welcome you and advise you on the best way to add value to your treasures: paintings, photographs, etchings, diplomas, souvenirs, precious documents etc' All frames are made up on site and we offer same day service. Cadres Superieurs is your number one choice for conservation quality, museum grade framing. For 30 years (Joe) Liberto Medieros has brought a unique creative approach to frames large and small, from simple and elegant to elaborate conversation pieces. The team at Cadres Superieurs are skilled craftspeople and artisans, ready to work with you to find just the right solution and mix of materials to suit your next framing job' and the one after that, and the one after that.